Today we’re kicking off a CHALLENGE that was actually given to us by our mother. The reality is that, in the midst of life’s chaos, cleaning things sometimes falls a little lower on the priority list that one would like. 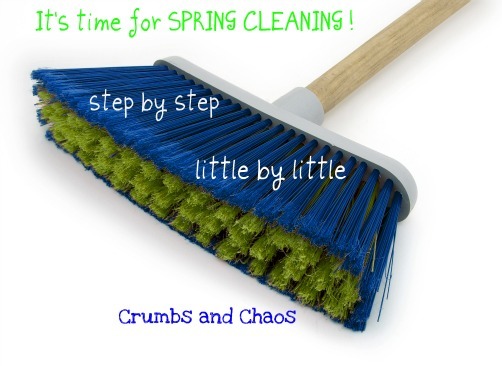 And since spring is lurking around the corner somewhere, this is a great time of year to do some deep cleaning…before we have much better things to do than clean! So the idea is this, we’ve taken a list of common spring cleaning tasks and will share one with you each weekday. We will each be at our own house taking on the job and you can join us if you like (but at your house, not ours!) At the end, we’ll be able to relax when our mom does stop by knowing that we did make “Spring Cleaning” a little more of a priority than last year and without a doubt, there will probably be little hands to come along and undo all the good that we’ve just done! Ahhh, the joys of motherhood! Today’s STEP: The refrigerator – toss out anything that’s bad or that’s totally turned into a science project, check expiration dates, wipe out shelves and bins. Don’t forget about the freezer! Finish by doing a complete wipe down of the exterior of the fridge. TIP: It’s best to use soap and water to start wiping out and then rinse with a solution of 1 gallon water and 2 cups white vinegar. It’ll freshen without harmful chemicals. And if you can’t do a step each day, you can catch up on the weekend! Check the SPRING CLEANING tab above for the complete list (updated daily with a new step). Have another great tip for the step we’re doing today? Feel free to share in the comments of this post. Now for the food…I love bread in a serious way. 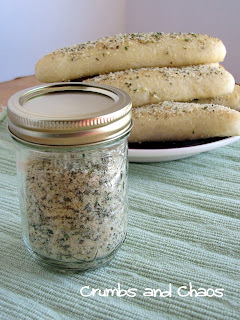 While these garlic rolls are my absolute favorite, I have been on a mission for the last several weeks to find a really great recipe for bread sticks. I have found the best of two worlds in the ones pictured below – you know, the texture of the bread sticks you get at the Olive Garden WITH the parmesan topping that Pizza Hut puts on their bread sticks. I’m in love, I’m in love and I don’t care who knows it! (Name that movie!) These bread sticks are heaven sent! Place 1/4 cup WARM WATER in a bowl and sprinkle yeast on top. Allow to sit for 5 minutes until foamy. Add the flour, sugar, butter, salt and 1 1/4 cups plus 2 Tablespoons WARM WATER to the yeast mixture. Stir with a spoon (or use your mixer). Add some additional flour (if needed) and continue mixing until a nice soft, smooth dough forms. Place on a floured surface and cut into 16 even pieces. Roll each piece into a 7 inch long bread stick. Place on a parchment lined cookie sheet, about 2 inches apart. Cover with a cloth and let rise in a warm place for 45 minutes*. Preheat oven to 400°. Brush tops of bread sticks with mixture of 2 Tablespoons of melted butter and 1/2 teaspoon garlic powder. Bake until light golden brown, about 12-15 minutes. *When I start to make the dough, I turn on the oven to 200°, after the oven reaches 200° I TURN IT OFF. Then I place the cookie sheets in the oven while the bread sticks are rising. 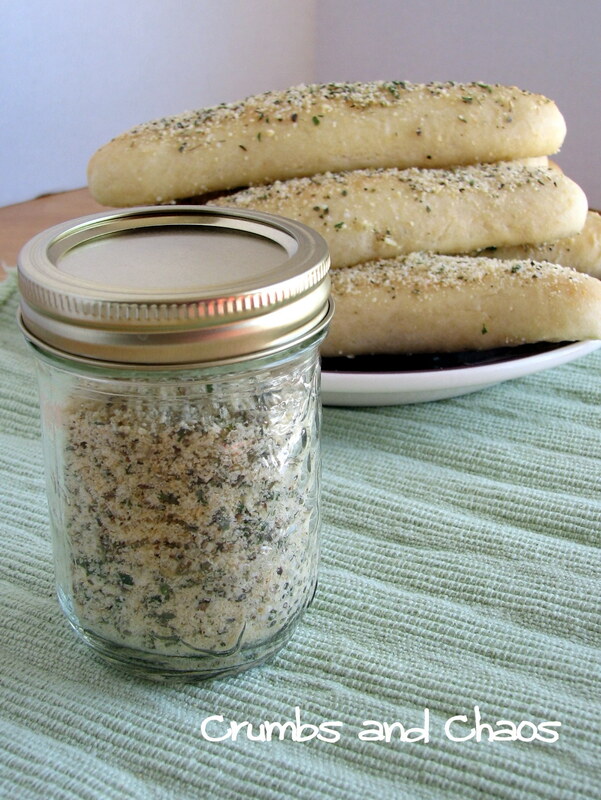 Combine ingredients and store in an air tight container in the fridge. Will keep up to 3 months. I brushed the bread sticks above with melted butter when they came out of the oven and then I sprinkled them with this seasoning. Another way to use it: combine 1 1/2 Tablespoons with 1/2 cup room temperature butter, spread on French bread. Will you be joining us for our SPRING CLEANING CHALLENGE? Thank you so much for posting this recipe. My family loves all bread, and these are sure to be a hit. 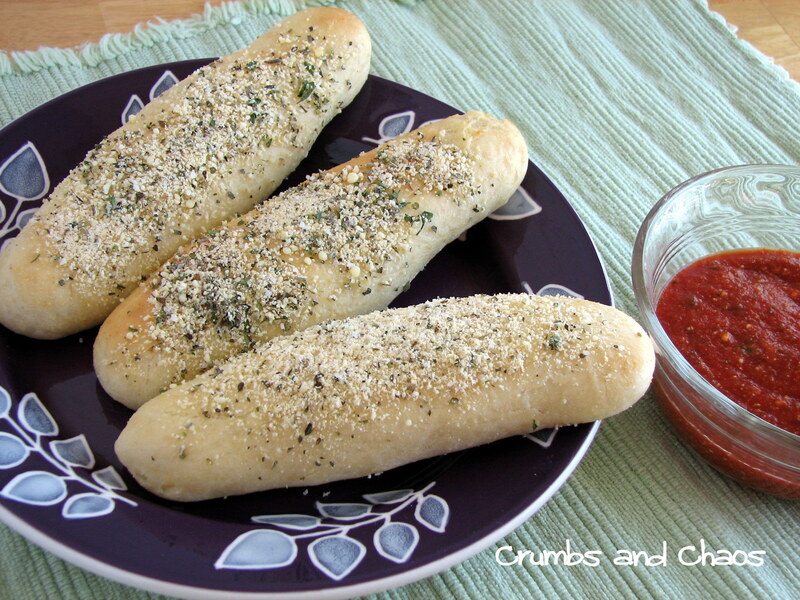 I love bread sticks too and can’t wait to try this recipe. So glad you shared…appreciate your cleaning tips too! Keep up the good work -this is a great blog! ELF!!!! I just love your posts Becca!